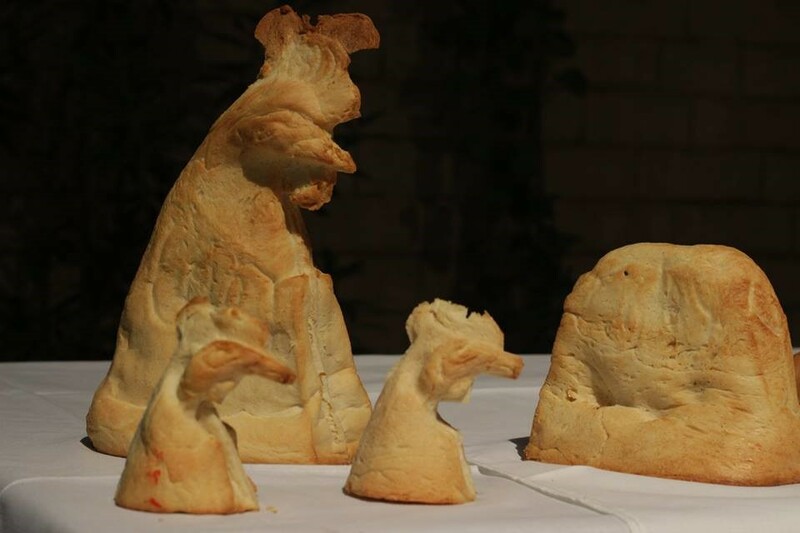 This July, in Cairo, the Institut Français d’ Egypte, invited Hopla Studios (a culinary design studio based in France), the French Embassy in Cairo, the Intercontinental Hotel City Stars, and Slow Food Cairo to collaborate in recreating heritage foods with a modern twist. Inspired by the important role of food in Ancient Egypt, and of bread in particular, the week-long event orchestrated by Hopla Studios, included round table discussions, presentations and workshops, and culminated with hands-on cooking sessions for children and adults at Mamushka’s restaurant. People of all ages found something fun and interesting to do whilst enjoying good food, presented with flair. Léo, master baker at the Intercontinental, shaped bread dough into mummies, falcons and vases to serve the traditional French ‘poule au pot’. 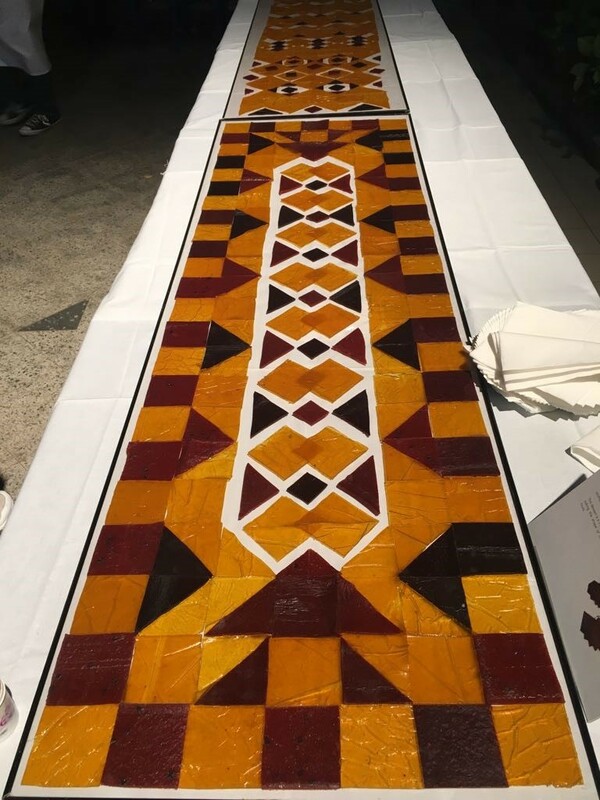 Agathe and Magali, founders of Hopla Studios, decorated a long table with a mosaic of edible, traditional fruit leathers, replicating Middle Eastern patterns. 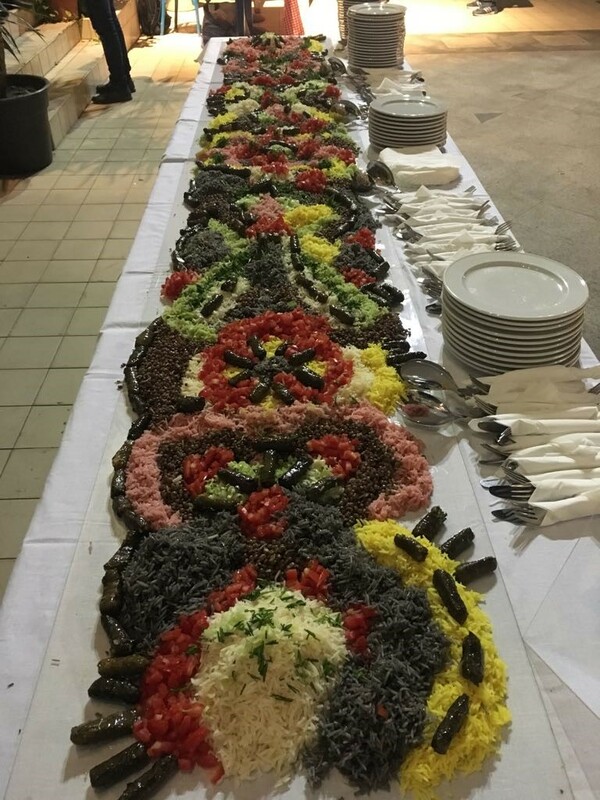 They transformed another table into a colorful carpet of edible mezzes, colored rice, fresh greens, lentils, and carrots. 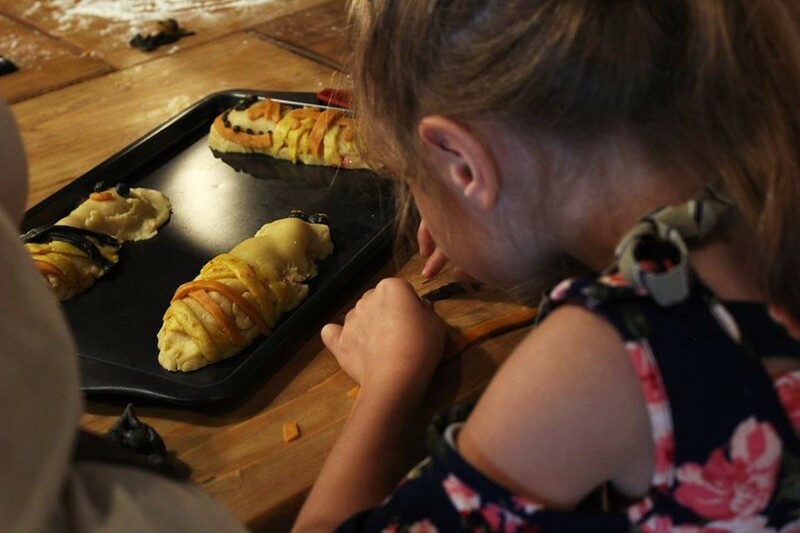 Two hands-on cooking sessions for children and adults were the highlights of the week. On the menu was bread making, and preparation of chicken soup and paté the French way. Everything was very tasty and presented creatively, and most importantly, the majority of ingredients used were sourced from Slow Food producers. 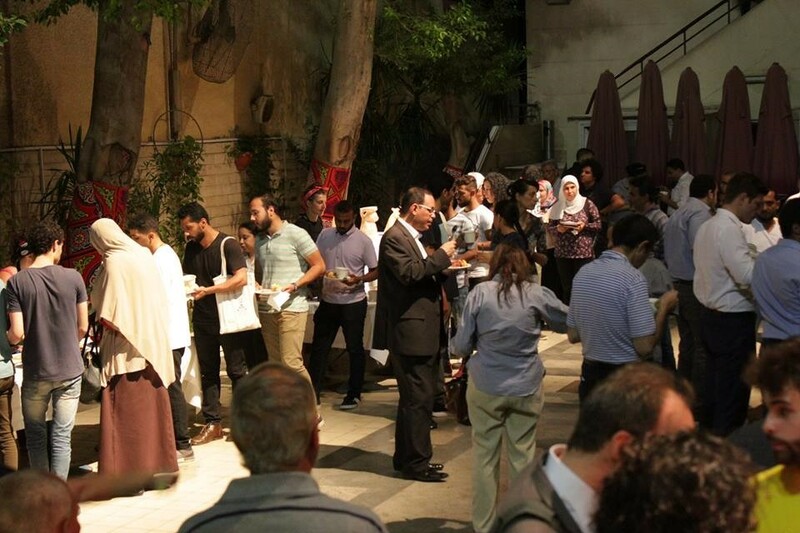 Throughout the week, Slow Food members, and Cairo’s Chef’s Alliance cooks were present lending a hand in the kitchen or talking about Slow Food values to people and raising the flag of eating local and making sure that it is good, clean and fair.